WOW!!! 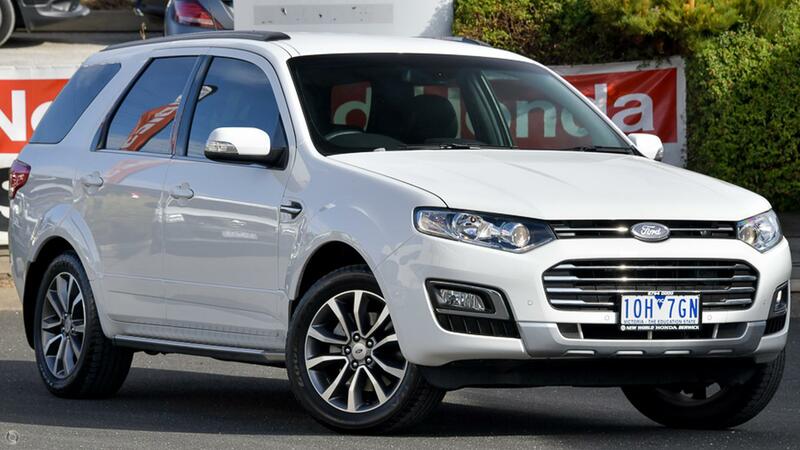 WHAT AN EXCELLENT EXAMPLE OF A FORD TERRITORY TITANIUM!!! WITH THESE KILOMETRES THIS CAR IS A MUST SEE!!! Featuring a Powerful 4.0ltr engine, Automatic transmission, Satellite Navigation, Alloy Wheels, Bluetooth Connectivity, Reverse Camera, Central Locking, airbags, power steering, power windows, leather trim Plus Much, Much More BE QUICK WITH THIS ONE!!!!!!!!!!!!! Book a Test for yourself with our friendly Staff and experience what the Ford Territory is all about. SHOPPERS PLEASE NOTE AS WE ARE ONE OF MELBOURNE'S LONGEST & REGARDED FRANCHISE DEALERS, WE ASK THAT THIS VEHICLE DOES NOT BE COMPARED TO ANY THAT ARE ADVERTISED FROM PRIVATE SELLERS, THE SIGNIFICANT DIFFERENCE IS OUR ROADWORTHY PROCESS IS STRINGENT, WE PROVIDE AN EXTENSIVE WARRANTY & SPARE NO EXPENSE IN GETTING OUR CARS ON THE ROAD. Our Dealership is part of a large family owned group of major dealerships and we have an outstanding reputation for customer service and have been around for a very long time. We offer personalised Finance with flexible terms. * Extended warranties available that offer genuine protection. We are incredibly proud of our Business and the service we provide, come and experience this for yourself; we are located just minutes from the Monash FWY. Our dealership offers onsite test drives where we can arrange to bring the vehicle to you.